When you’ve worked in the corporate world and made the decision to be a full time children’s entertainer, it’s nothing short of a gutsy move. That’s exactly how it went for well-known children’s entertainer, and father of two, Charlie Silly pants who made the transition from marketing specialist to funny man six years ago. Peninsula Kids talks to Charlie about being a dad and making children laugh for a living. 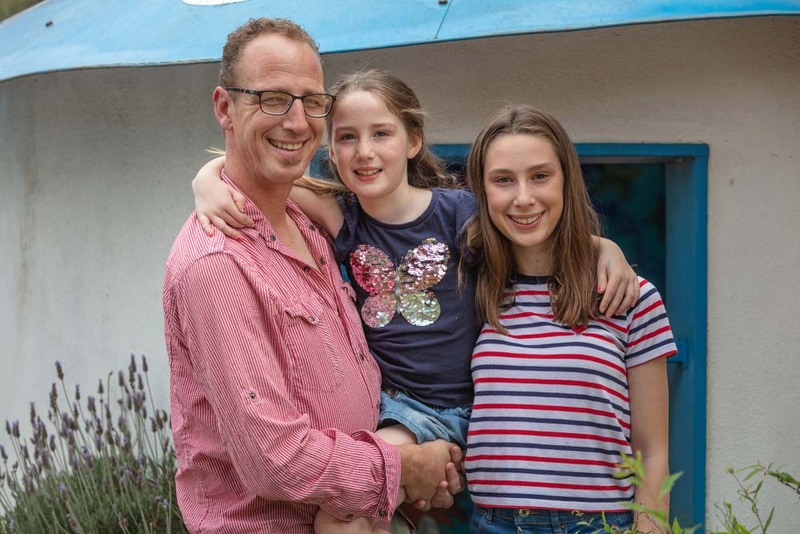 “I was working in a job that eventually I didn’t enjoy and made the decision to leave as I didn’t want my girls to see a grumpy dad all the time,” said Charlie who began studying acting and has a natural flair for entertaining. “I just relate to kids on their level,” said Charlie, who made the discovery particularly after his first daughter was born. “I found it easy to be silly and make kids laugh but didn’t want to do kids parties like the standard superhero so I became Charlie Silly pants. For Charlie who has always related to kids, being a parent is the most rewarding experience. “Everything I do is for the girls and they will probably never know what a difference they have made to my life. In my show it is important to engage the kids as that is the thing they love the most. Charlie says the children have also been amazing fodder for his shows as well. “My own daughters have inspired me no end. I listen to them speak and find myself mimicking them with things like ‘Stop laughing’, ‘I didn’t mean that’, and ‘Don’t look at me’. It’s like I almost turn into a six year old,” he said with a laugh. For Charlie and his wife, making this life choice meant going backwards before they could go forwards. “I thought I would get work quickly but it took six months before it really got going. Now we are booked up for months in advance and it was the best decision we could have made,” said peninsula born Charlie. “Coming from Rosebud, I decided that when I did start doing parties. These days Charlie does educational kinder sessions, gigs at schools, pubs, clubs and private parties but his favourite gig is hanging out with his children. “What I love about being a dad is just seeing them grow each day. The most important thing is seeing them smile and be happy and doing little things like day trips, holidays and taking them out on a little adventure. My six year old knows that I don’t usually work on Mondays so we might go for a ride through the wetlands and do a scavenger hunt or go to the drive-in. My oldest daughter is 14 and she studies singing, dancing and acting. She is amazing and just enjoys doing her own thing,” said Charlie. 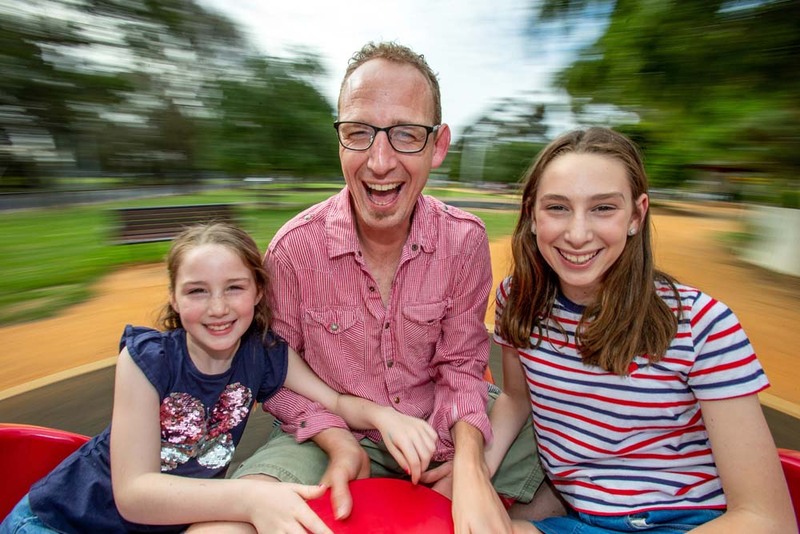 For this father of two, the most important thing about being a parent is spending time together and being in the moment; a lesson it seems that being Charlie Silly pants has definitely taught him.